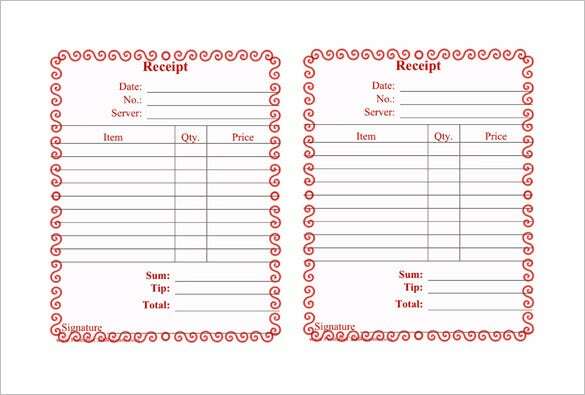 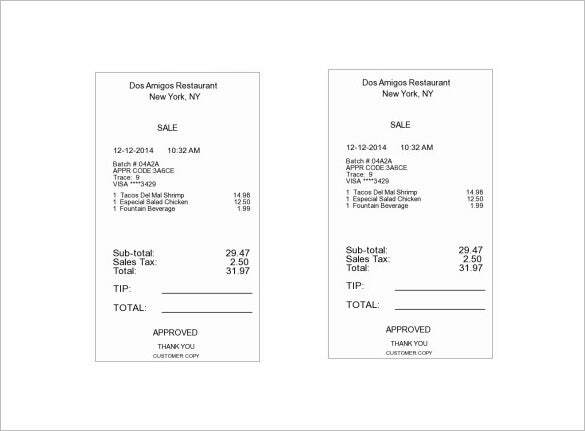 A restaurant receipt can be found under the business receipt template. 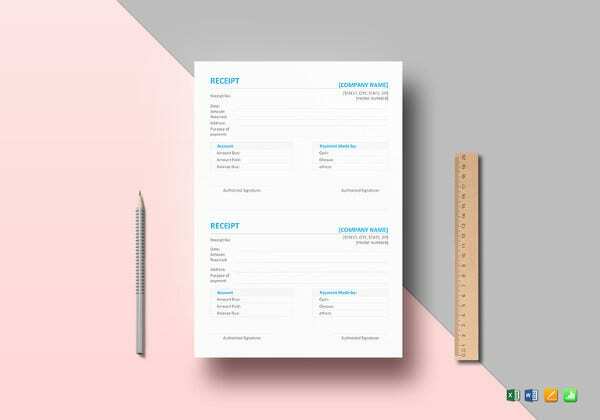 As this is one of the common jobs present in all over the country and continuously expanding and productive. 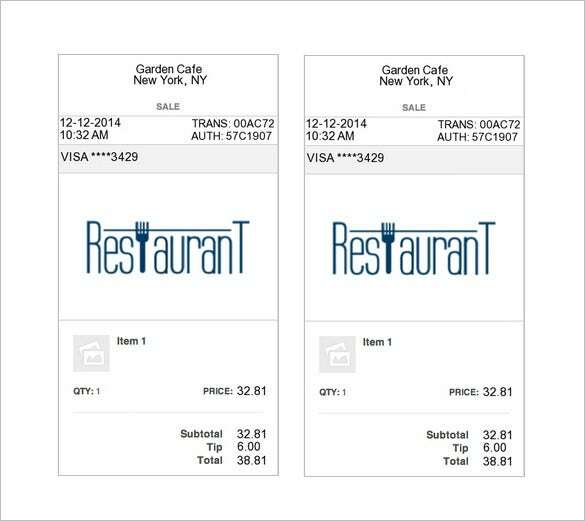 A Hotel Receipt Templates is useful to record all the payments done for every transaction of the customers in the restaurant. 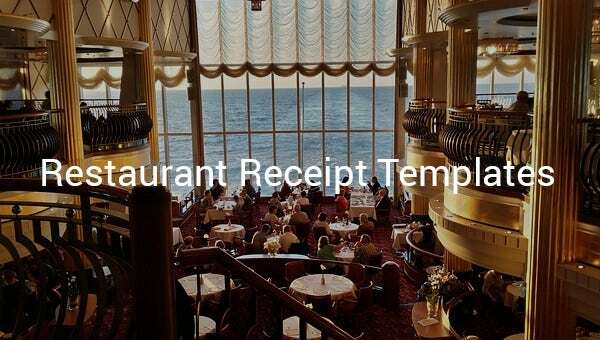 It is necessary to record as for future references and to track the expected income and expenses accumulated by a certain restaurant business. 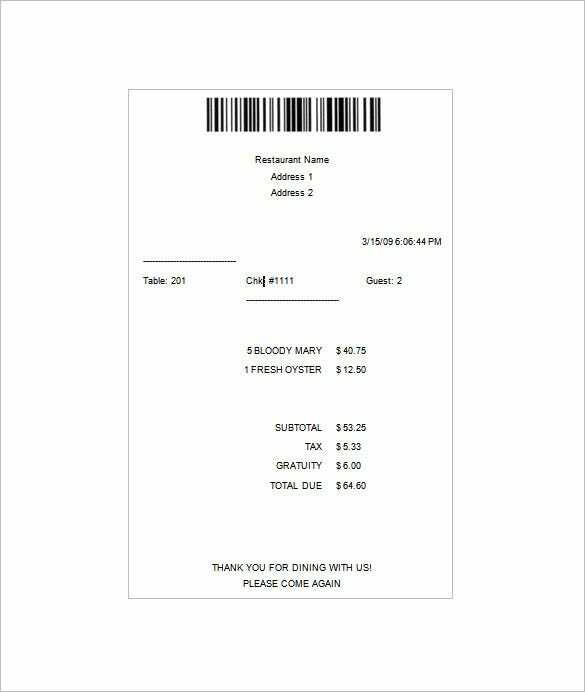 You may also see receipt samples. 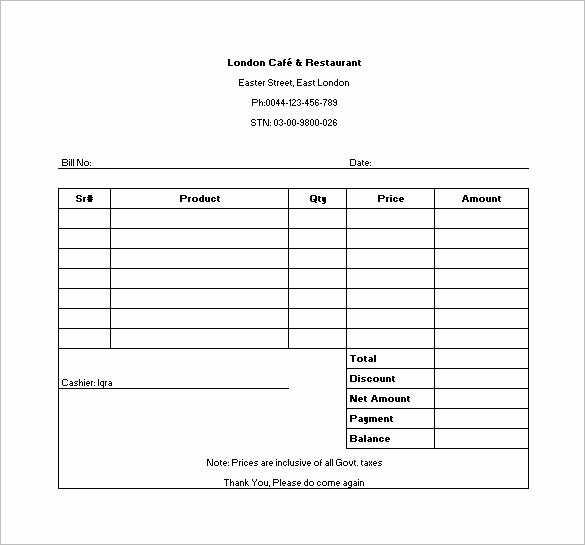 In using a restaurant receipt template, it will provide samples of restaurant receipt that can be a basis for creating a unique appropriate and suited for a type of restaurant that the business owner have. 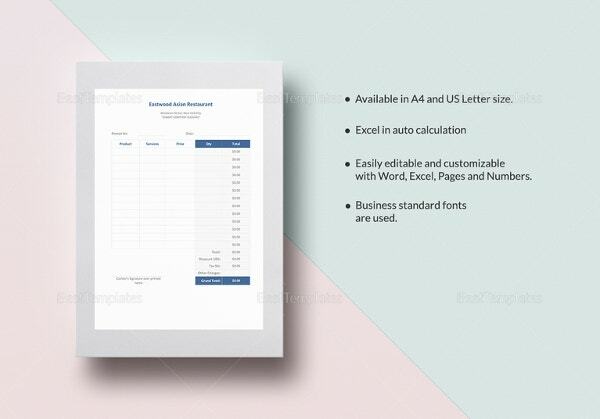 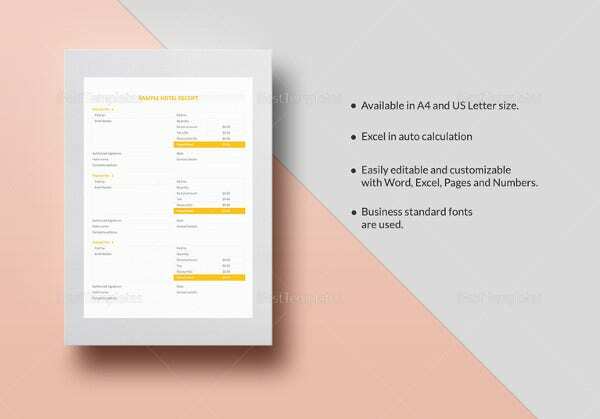 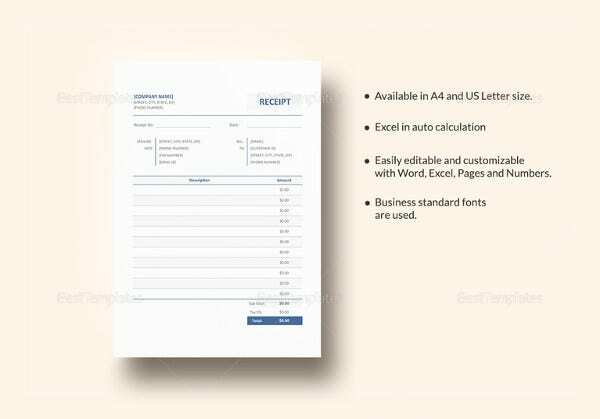 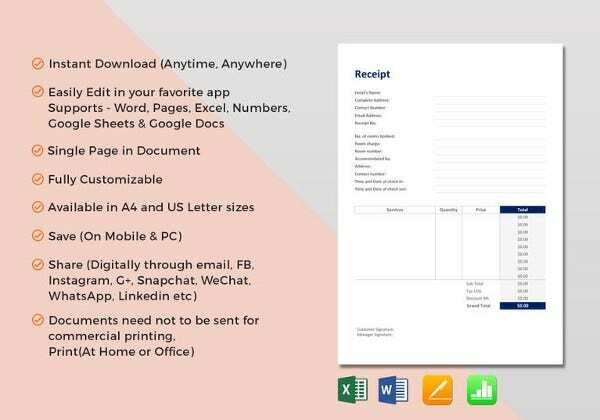 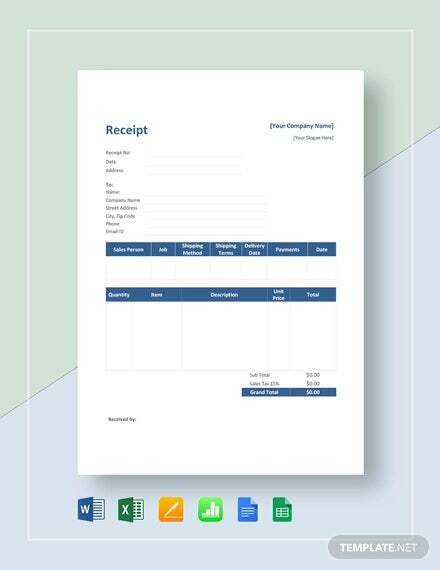 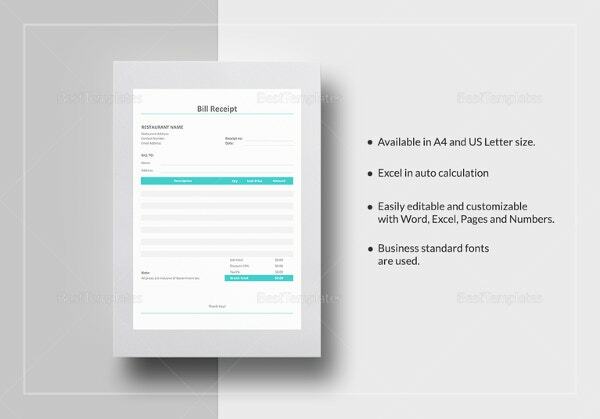 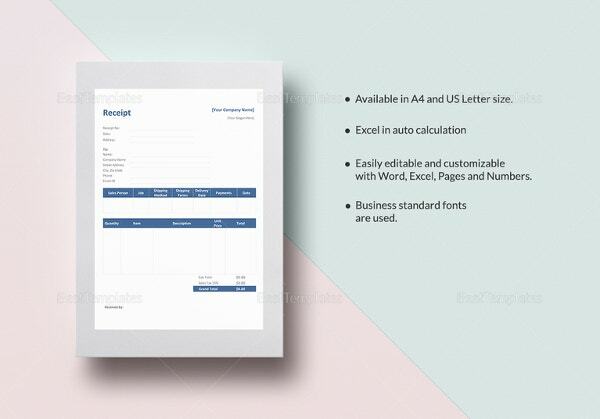 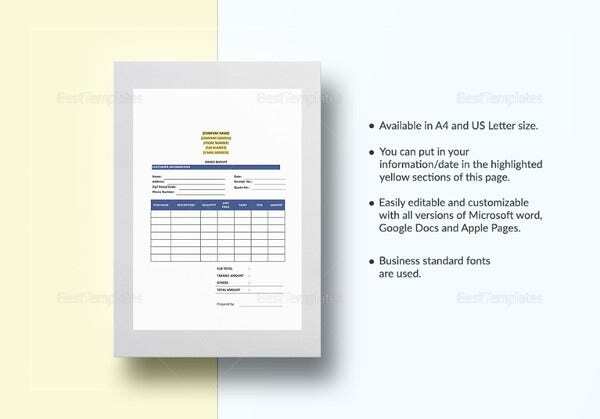 These Sample Receipt Templates are free to download and accessible to find in the website.